^ Ed O'Neill. Ed O'Neill Interview Part 1 of 3 - EMMYTVLEGENDS.ORG (Interview). Beverly Hills, CA: Archive of American Television. April 3, 2013. ^ Romero, Frances. Ed O'Neill: From Al Bundy to Jay Pritchett. Top 10 TV Character Chameleons. Time Magazine. September 16, 2011 [March 16, 2012]. ^ Pallante, Sally; Scotty Hanahan; Jim Dunn; Paul Miller; Martin Pallante; Terry Dunn. Irish in Youngstown and the Greater Mahoning Valley. Charleston, South Carolina: Arcadia Publishing. 2004: 105 [October 7, 2007]. ISBN 0738532185. ^ 4.0 4.1 Ed O'Neill: Biography. TV Guide. [January 21, 2011]. ^ 5.0 5.1 5.2 Ed O'Neill - Biography. Biography.com. A&E Television Networks. [January 21, 2011]. ^ "It's Evening in America". Vanity Fair. May 2012. Page 156. ^ Red Lobster Commercial with Ed O'Neil. [16 December 2013]. ^ Ed O'Neill. Emmys.com. [March 15, 2012]. ^ Pond, Steve. Snubs, surprises and favorites for Emmy gold. Reuters. July 14, 2011 [March 15, 2012]. ^ O'Neil, Tom. 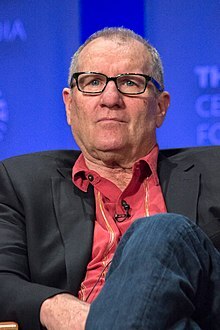 Finally, Emmy jackpot for Ed O'Neill?. Los Angeles Times. September 14, 2011 [March 15, 2012].